Serverside validation is not only a way to prevent eventual attacks on a system, it also helps ensure data quality. In the Java environment JSR 303 Bean Validation and the javax.validation packages provide developers with a standardized way of doing so. Fields that have to fulfill certain criteria receive the corresponding annotations, e.g. @NotNull, and these are then evaluated by the framework. Naturally, for checking more specific conditions, there is the possibility of creating custom annotations and validators. When entering the method, the very generic “Data” object has already been completely validated. If a field inside it wasn’t valid, the client would receive a 4xx status code. Still, there is one disadvantage when using the validations: the annotations are completely static. It is not possible to read information e.g. from the request. Nevertheless, there are ways and means to overcome this limitation and enrich one’s own application with more dynamic validations. To be more specific, we want to extract one or more values from the incoming HttpRequest and vary the validation depending on the values. Not so long ago, a joke went around regarding a famous social media platform’s charater limit. This picture provides a very nice summary. The JSON annotations come from Jackson and are already included in Spring Boot Starter Web, which is quite practical for our example. The someStringValue, which already has an annotation, shall be the field we use for checking the character limit. I would like to emphasize here that the validator class does not implement any javax.validation interface, not even javax.xml.validation.Validator. This is because the validation depends on values from the request and is supposed to take place after the rest of the validation. Still, we want to utilize the existing checks (@NotNull und @Min). Except for the @Component annotation, the StringValueValidator is a POJO. The Errors object originates from Spring and has the fully qualified name org.springframework.validation.Errors. As you can see, in case of a negative test result, we add the field that is being rejected to the Errors. It is also possible to add a more specific error message there. Only using the @Valid annotation in the controller is not sufficient anymore. The existing errors are also needed as an additional parameter. By adding Errors to the parameter list, Spring recognizes that it should not reject the request immediately and pass the existing validation errors into the method. We have to be careful here because Spring will no longer send an automatic 4xx response in case of validation errors for us. We are now responsible ourselves to return the appropriate status code. We now have a dynamic validation, adapting its behaviour with respect to the request. The language shall only serve as an example placeholder for any value that could be inside the request. Alternatives could be the request URL or values inside the payload. One of the curious things here is that one would expect to be able to make the validator a RequestScoped bean and then have it injected in the controller. Unfortunately, it was not possible for me to get this approach running. When testing with more than one request, the first one always got “stuck” inside the validator and the test then failed. As shown, it is possible to extend the validation of fields with dynamic aspects in a quite simple way. We were even able to combine our extended validation with the existing one without experiencing any constraints. Especially complex validations that cannot be represented by pure annotations can easily be added to a RestController in this way. 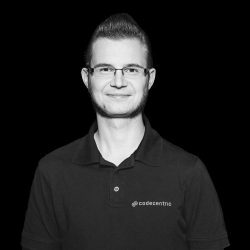 Ronny works since May 2017 for the codecentric AG. He is convinced about TDD and works mostly in the JVM ecosystem.